I am excited today to feature a post by Kayla Perestrello. I don’t remember how I first “met” Kayla, except that I was probably drawn to her clean, colorful photos and then I’m pretty sure we quickly started talking about Massachusetts and teaching and kids. Much more importantly, I found out in short order that she is a delightful person. Kayla is hilarious (you need to be watching her stories) and has one of those warm and welcoming personalities that is magnetic. There’s, of course, depth beneath that humor, so if you like insightful reviews and lots of kindness, Kayla’s got you there, too : ). Thank you so much, Kayla for being a guest here on Imaginary Book Stack! Eleanor is the literary heroine I just didn’t expect. 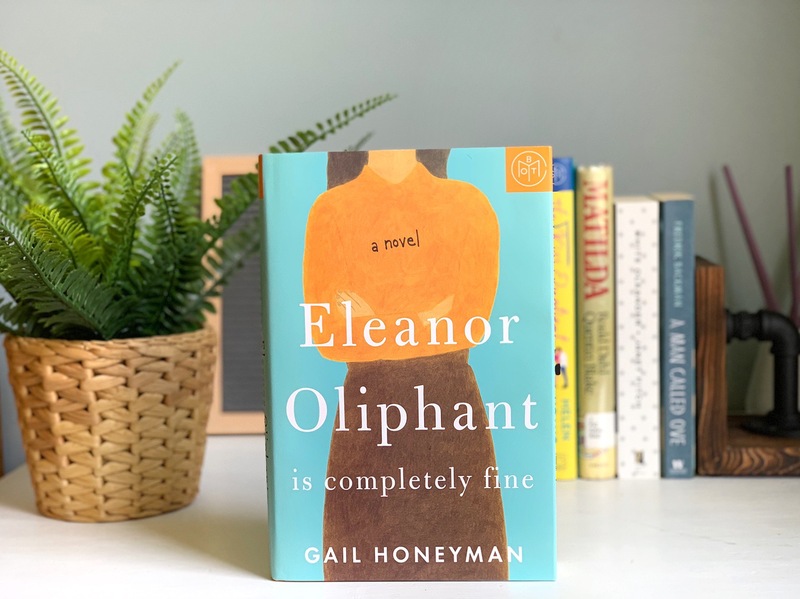 While I was reading Eleanor Oliphant is Completely Fine, I couldn’t believe how quickly her character grew dear to me. She is desperately lonely and socially awkward. She tells it like it is and is kind of a snob, which is pretty hilarious considering her awareness of its unacceptability is nonexistant. She finds comfort in routine and logic in order to avoid facing anxieties and past traumas and, to a much lesser degree, I related to that. She’s an unusual inspiration and a reminder that despite our individual pasts and any negativity we’ve endured, there is still life and hope and kindness in the world. Sometimes people just aren’t very likable on the surface. Eleanor gets what it feels like to be misunderstood and A Man Called Ove is one she’ll find unputdownable. 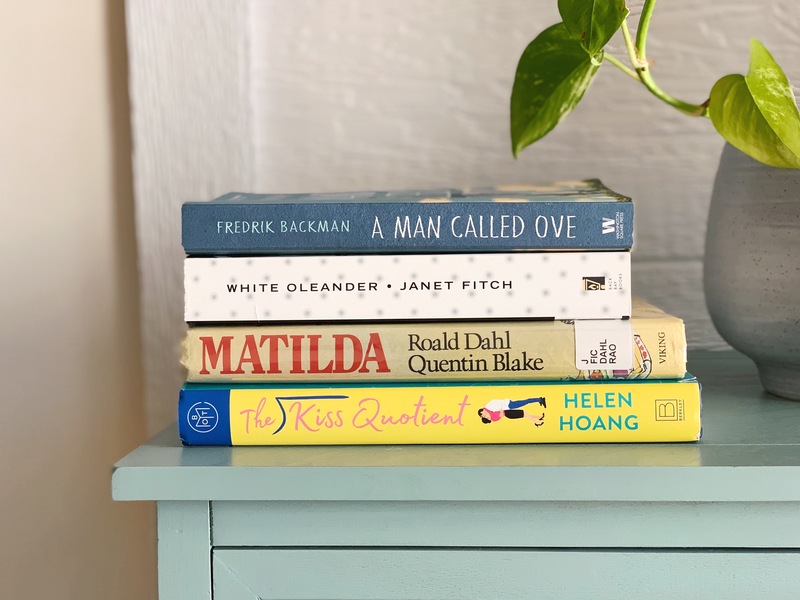 Pleasing mothers, seeking acceptance, defining beauty, and discovering strength, independence and identity may hit too close to home for Eleanor, but White Oleander will leave her feeling seen and empowered. As much as Eleanor might like to think she’s a pretty logical person, her imagination does get the best of her at times. Even she could appreciate Matilda‘s themes of bad versus good karma and seizing power over one’s own life, particularly after dealing with pretty terrible grown-ups. Johnnie Lomond Who? Eleanor and Stella from The Kiss Quotient share some pretty similar characteristics. Something tells me she’ll love this steamy romance and recognize how worthy of love she is—quirks, history, and all. * These links are affiliate links. This is a free to you way to consider supporting the blog. It is deeply appreciated! With the exception of only reading assigned books for 8 years of college (which I still can’t believe) I have always been an avid, eclectic reader and book lover! My two most favorite characters growing up were Roald Dahl’s Matilda and Belle from Beauty and the Beast. As a wife and working mom of two young boys, reading time doesn’t exactly come easily, but I will actually schedule time into my day to unplug and read. I also love to listen to audiobooks on my commute or while I work around the house. 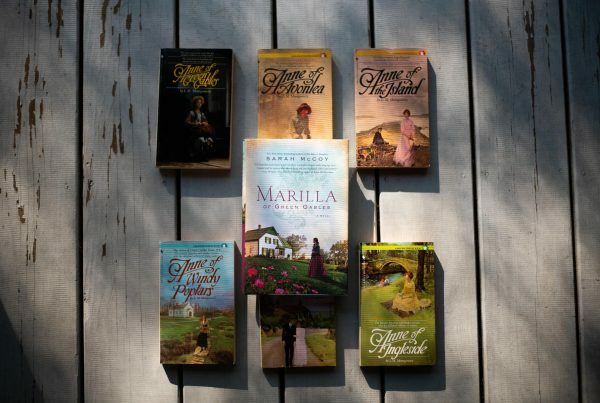 Getting into a story is my favorite form of self-care and having my family and friends share my love of books or ask for book recommendations is one of the most gratifying things that has come from being involved in the reader-reviewer community. When I’m not reading? Honestly, you’ll still probably find me at home. I’m a creative type and am usually making or doing something with my hands, whether it be baking a cake just because or re-finishing a piece of furniture. I am a bonafide homebody. 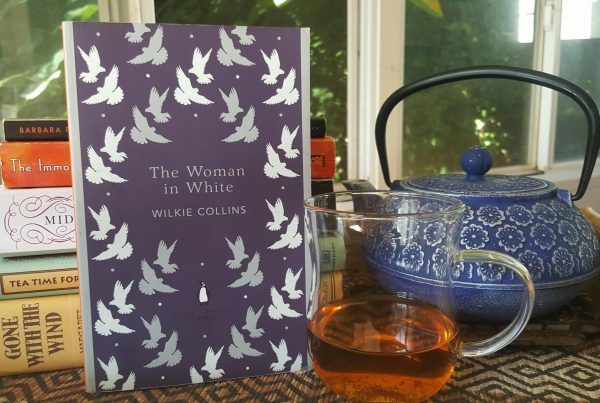 What am I not reading… That’s what it seems like lately! I usually have multiple books in all different formats going at once, but I have Conversations with Friends by Sally Rooney on the side of me as we speak. I’m pretty sure I’m in the middle of at least five others. That’s the life of a mood reader for ya! I wonder if I’ll ever feel like I’ve read enough books to be qualified to answer this question! The eclectic reader in me is going to say 11/22/63 by Stephen King. It’s contemporary, it’s historical, it’s sci-fi and thrilling and romantic and made me think on its broader themes for weeks after I finished it. I’m still thinking about it! King is a genius and has somehow written a book that will appeal to so many different types of readers. Kayla, thank you so much! 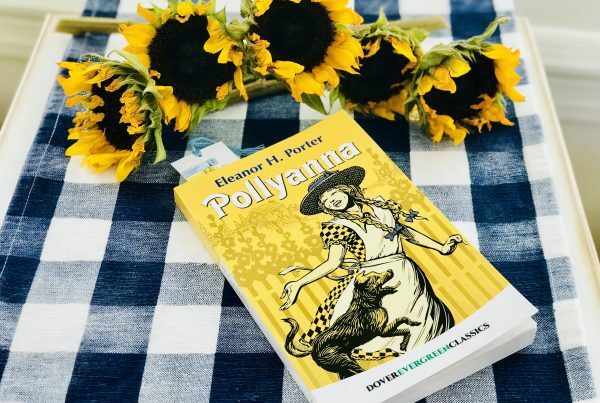 Have you read and fallen in love with Eleanor, too, or was it hard for her to grow on you? 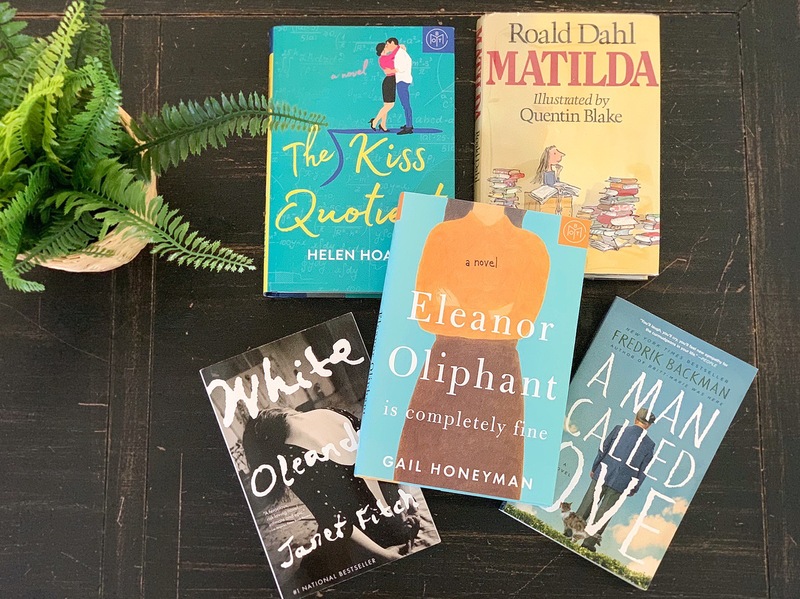 What other books do you think Eleanor might have in her book stack? I’m thinking she might find some love inspiration in The Rosie Project : ). I think Ove and Matilda are excellent choices for Eleanor. I remember reading Eleanor a few years ago and was surprised by how much I liked the book! I’m have to read White Oleander because a friend has been telling me to for years! I haven’t read White Oleander, either, but seeing it in this stack has made me particularly interested. Eleanor is one of those characters that kind of sneaks up on you, right? I just started Eleanor this weekend and she reminds me of my beloved Britt-Marie! So I’m adding another Bachman to her book stack! I have to confess that I’m one of maybe ten people who didn’t like Ove, so I haven’t read Britt-Marie, BUT from what I’ve heard about it it sounds like a definite for Eleanor’s stack. Or maybe Eleanor would be a curmudgeon like me and toss both of them hahah.